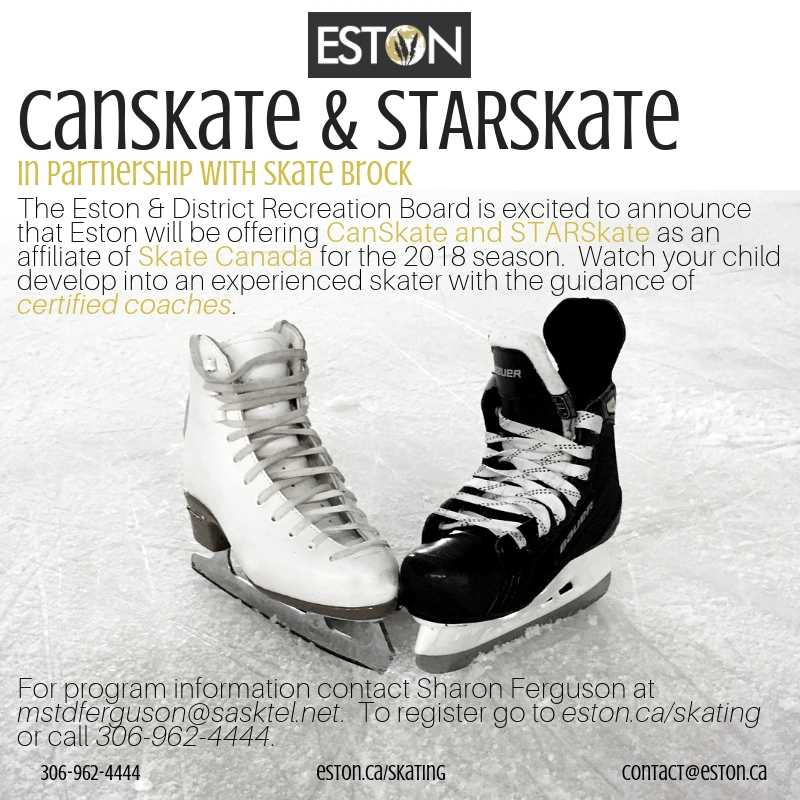 The Eston Skating Club is open to boys and girls ages 3 to 17. The Skating Club offers both a learn to skate program and a figure skating program. It runs from November to March, with a winter carnival to cap off the season. Read the information brochure or contact the Town Office for more information.